I’ve traveled to South Africa twice now. It’s one of my favorite countries and an adventure lover’s playground. Here are some great ideas for things to do there. The Republic of South Africa is a huge & diverse country teeming with wildlife & culture. It has a little bit of everything — dry deserts, high mountains, subtropical woodlands, modern cities, friendly people and TONS of cool animals. After spending close to 2 months exploring the country, I’ve put together a list of my favorite experiences to help you plan your own visit one day. Win A Free Trip To Africa! 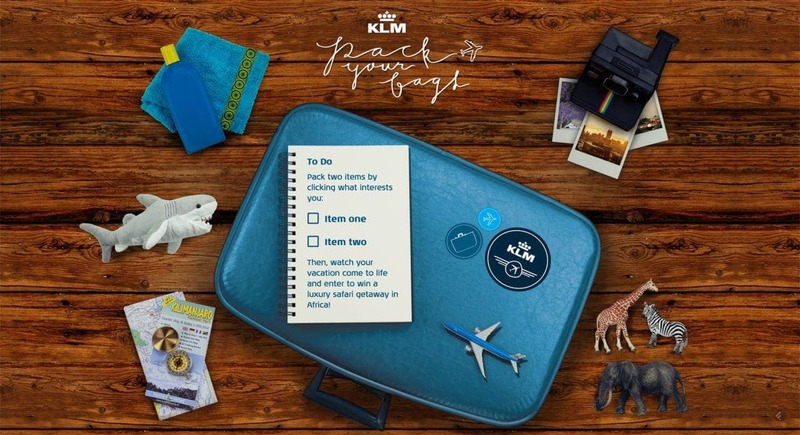 It’s easy for US citizens to fly to South Africa these days with KLM Airlines on their routes to Cape Town & Johannesburg via connections in Amsterdam. If you’re looking to visit other countries in Africa, they also fly to the cities of Nairobi, Dar es Salaam, and Kilimanjaro. I’ve partnered with KLM to highlight cool travel experiences in Africa, and help them give away an incredible 6 day safari in Tanzania with 2 free airline tickets (US residents only). I really hope one of you guys wins it! More details about the contest below. I’ll never forget when a huge lion passed just a few feet from our open Land Rover, suddenly stopping to look up. Everyone froze. Make a wrong move now, and we’d be his afternoon snack. We were on safari at Phinda, a 56,000 acre protected wilderness area in the KwaZulu-Natal provence of South Africa. The lion was only one of the many incredible animal experiences we encountered, there were also families of elephants, cheetahs on the hunt, playful zebras, and so much more. Three, two, one, jump. I stepped off the catwalk and into the void, falling 288 feet with my stomach in my throat. The world’s tallest rope swing at a soccer stadium in Durban is definitely a big rush! So is stoping along the Garden Route to leap from the 709 foot high Bloukrans Bridge and bouncing around dangling from your ankles by a glorified rubber band. If you’re looking to cure your fear of heights by going to extreme measures, South Africa is the place. Arguably the most feared animal under the sea, sharks have a notorious reputation. Great whites grow up to 7 meters long and can weigh over 3,000 kg. But you can get an up-close and personal experience with them under water cage diving off the coast of Cape Town. For the more adventurous, how about diving with sharks minus the cage? It’s totally possible (and pretty safe) to dive with tiger & bull sharks in South Africa this way. Such a cool experience! One of the cool things about South Africa is its diversity. The massive city of Johannesburg is a great place to experience this and meet the different types of people that call this country home. I loved visiting the township of Soweto and learning about the vibrant & important history here. Meeting local residents and admiring an area’s unique art and culture. Or gathering for a traditional Brai dinner in the rural coastal town of St. Lucia with new friends. Learning about a way of life that’s different from my own. Table Mountain is Cape Town’s most prominent landmark. A huge flat block of sandstone that rises 3500 feet into the air. Table mountain is a national park and a wonderful place to go hiking with over 350 paths to the summit. Most people take the cable car up but hiking is far more rewarding. The weather changes constantly though, so hiking is difficult sometimes. You could luck out with clear skies and great views or maybe climb into the infamous “table cloth”, a blanket of clouds that often covers the mountain. South Africa has some of the best surf conditions in the world. A popular adventure is renting a car and driving up the coast from Cape Town to Durban stopping at different surf spots along the way. I spent a month honing my surfing skills in places like Muizenberg & Jeffreys Bay. The water can be cold, but the waves & lack of crowds are worth it. Yes, I realize I just told you how awesome the sharks are, but don’t worry, they prefer eating seals. The St. Lucia estuary is filled with some of Africa’s most dangerous animals. Paddling kayaks past them on a wetlands safari was super fun. The iSimangaliso Wetland Park is a UNESCO World Heritage Site, renowned for its diverse wildlife and swamp forests. The area is home to giant crocodiles, hippos, and even bull sharks. Did you know that hippos are the most dangerous animal in Africa? You’d never suspect it at first glance. They seem fat & slow, but are surprisingly fast & aggressive. Home to the indigenous Nama people, the rocky dry landscape surrounding the Orange River is a mix of red, brown, and orange hues — except for the banks, where patches of green vegetation are able to thrive. The Northern Cape is a huge area with a lot to see and do — and it’s one of the least visited parts of South Africa. Rafting down this winding river in the middle of a desert and finishing the night with a Brai BBQ has been one of my highlights. While visiting Khula township in South Africa, I was invited to chat with my dead ancestors with a local Sangoma medicine woman. She communicates with people’s ancestral spirits to share advice and cure ailments. Sitting down in her sacred healing hut, she gave me details about my future based on what they told her. It’s an ancient profession that’s been practiced for hundreds of years here. The verdict? I’m a very lucky guy. Oh, and my ancestors want me to throw a BBQ for them! The beautiful Magalies River Valley fully revealed itself as we rose into the sky with the sunrise in a hot air balloon. It’s only an hour North West of Johannesburg, the capital of South Africa. South Africa is just one of the cool African countries covered by KLM Airlines. Another is Tanzania — and they are giving one lucky winner two flights from one of KLM’s American gateway cities to Tanzania! The winner also receives a six-day, five-night luxury safari for two from Aselia Africa! Talk about a sweet prize. I really hope you win it! You will be instructed to click on two items to pack into your virtual “bag”. Next, you’ll be shown the dream Africa trip that fits your interests based on what you packed. Then enter your contact information & submit your official ballot.